After a lovely holiday in sunny Florida, I am back! Now that autumn is here, the nights are drawing in and the weather leaves a lot to be desired. It’s good to know what events are happening in Milton Keynes and more specifically, ones that do not wholly rely on the weather. 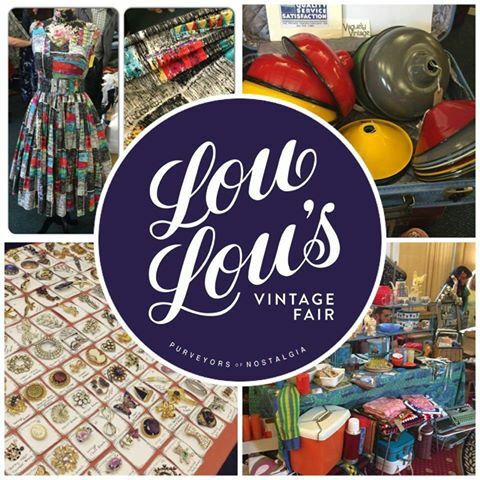 If, like me you enjoy a bit of nostalgia, a bit of quirkiness and lots of pretty things, why don’t you head over to Stantonbury Leisure Centre this Saturday for Lou Lou’s Vintage Fair. Winner of the 2013, 2014 and 2015 ‘Best Vintage Fair in the UK’ award, they are sure not to disappoint. With a vast array of vintage fashion and home wares, as well as a vintage tea room (with the promise of proper cups and saucers! ), beauty parlour AND vintage entertainment. I’m thinking this will be an excellent opportunity for me to make a start on my Christmas shopping, so why don’t you join me? And maybe afterwards, I’ll see you in the tea room where I fully intend to indulge in tea and cake. NOM!